A long time friend from my moms group gave me this recipe and it’s become a favorite among all in my house. These little sandwiches are great for any party, after school snacks or lunch! They are quick, easy, and delicious. 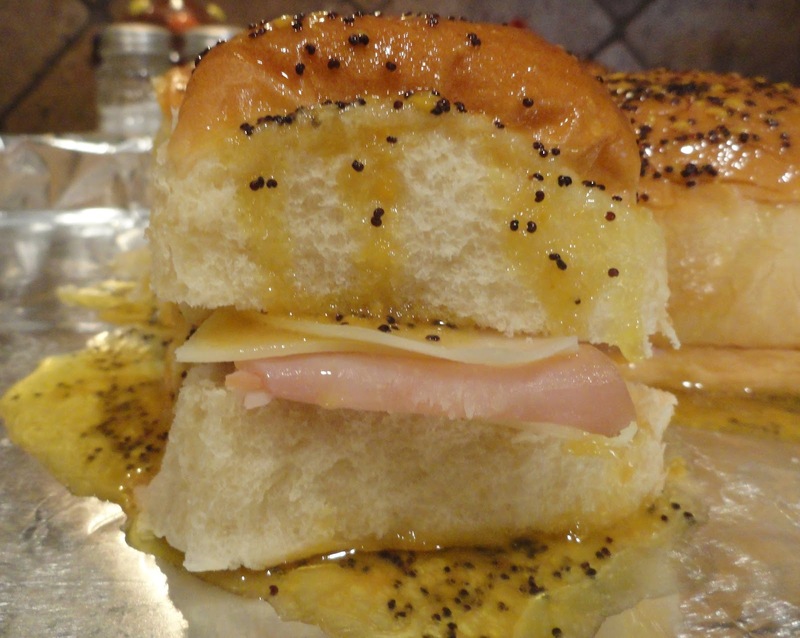 Cook sauce – put ham & cheese in rolls and drizzle sauce on top. Cook at 350 covered for 20 minutes and 10 minutes uncovered. Enjoy! ummm delicious. I love a ham and cheese sandwich but with this drizzle, its taking it to a whole other level. Very nice, very nice.